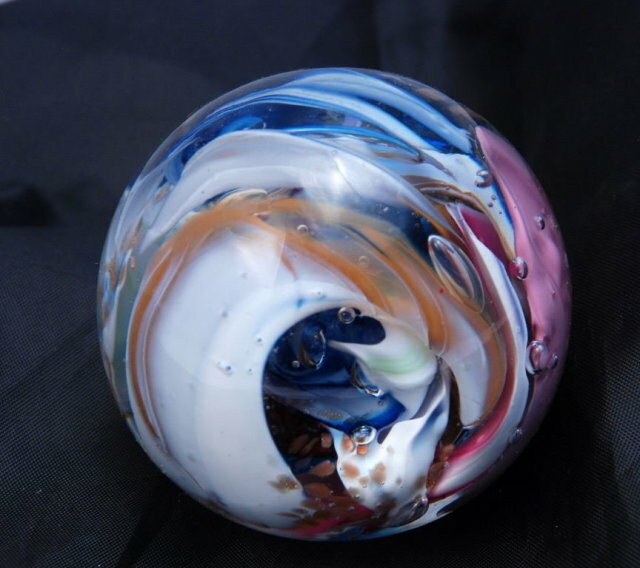 Beautiful Multi colored Swirl large Paperweight, Signed by Robert Hamon. 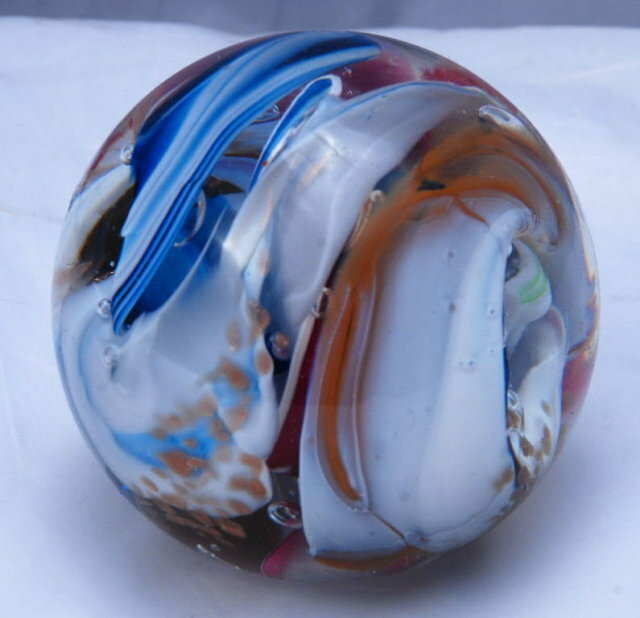 Beautiful Multi colored Swirl large Paperweight, Signed by Robert Hamon. It measures 3" tall and wide and in excellent condition. Robert L. Hamon, who passed away in 2003 at age 77, was widely regarded as one of the greatest glassblowers of the 20th Century, and perhaps the leading maker of art glass paperweights of our time. 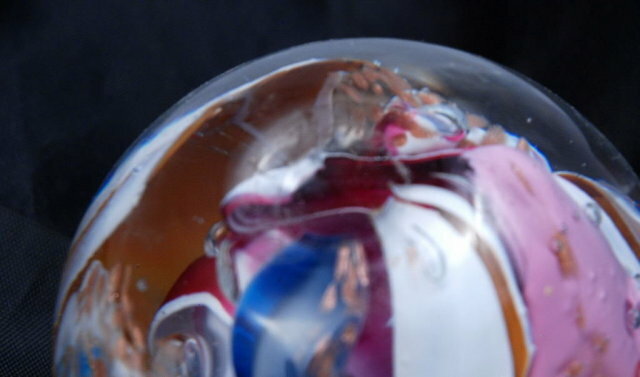 His work (especially his paperweights) is featured in art galleries and museums around the world. 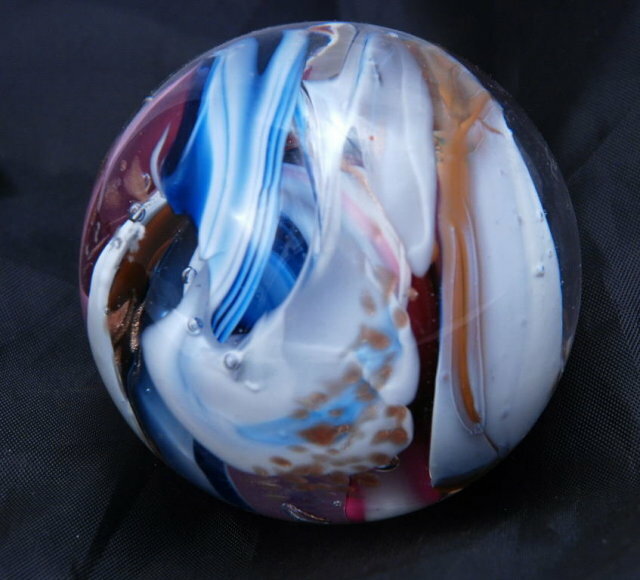 Items Similar To "Beautiful Multi colored Swirl large Paperweight, Signed by Rober..."